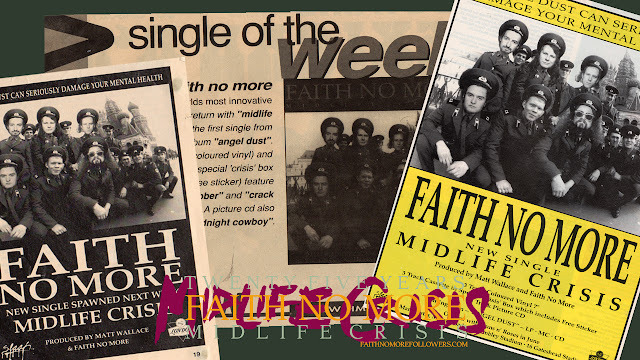 On May 26th 1992 Faith No More released Midlife Crisis, the first single from Angel Dust. 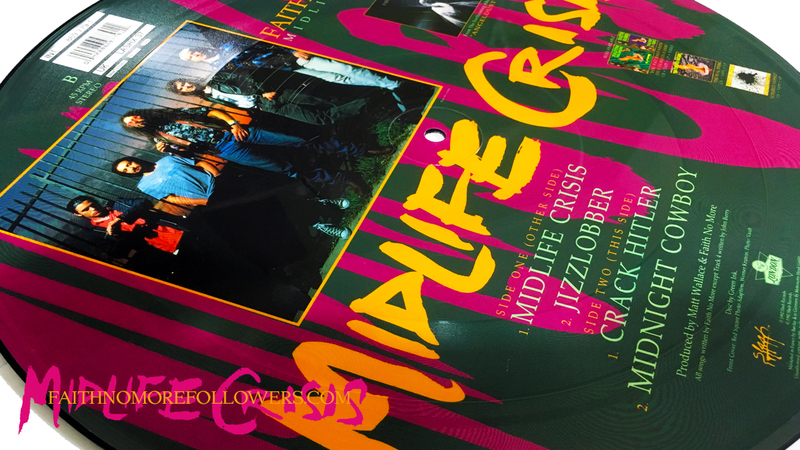 In an article on Consequence Of Sound ranking 'all' Faith No More songs from 'worst to best', Midlife Crisis took the number one spot. The quintessential question of what is Faith No More’s single best song has, far and away, the easiest answer imaginable. 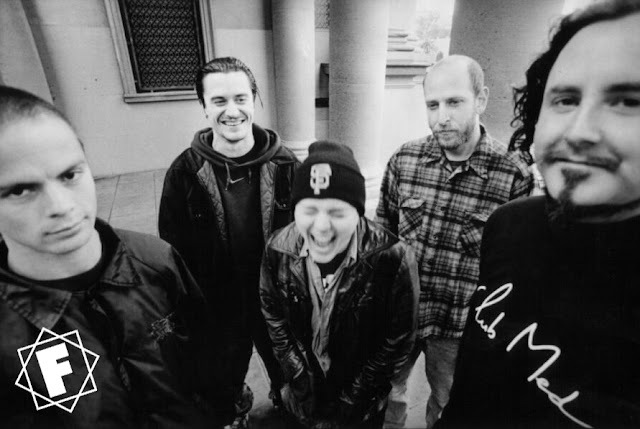 By 1992, Angel Dust had done a complete 180 away from the sound generally synonymous with Chuck Mosley to what FNM is known for now: triumphant Mike Patton vocals that shine in every register, every pitch; the fluid harmonization of Martin and Bottum’s guitar/keyboard combos; perfect drum and bass coordination; blends of dark tones and obscure subject matter that leave the listener desperate for resolution. 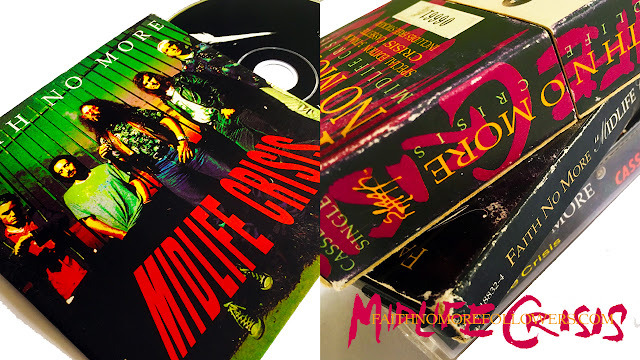 “Midlife Crisis” is allegedly about Madonna’s grasping at straws in her ’90s career, and that may be true, but this song has metal, pop, avant-garde, a musically united front with more facets than a diamond. It’s addictive and throbbing, your head on cocaine, your heaven and hell. It’s the Faith No More song. Angel dust, indeed. When released MC was received by most critics and fans with great enthusiasm. It charted highest in Austria at number 9, number 10 in the Uk charts and number 1 in US modern rock chart. The mood of MC shifts between eerie verses and brilliantly euphoric choruses. Mike Bordin's perfectly timed rhythm introduces the song. This percussive snap is one of those signature drum parts that Puffy does so well, instantly recognisable like We Care A Lot and The Real Thing. The beat includes a sample taken from Simon and Garfunkel's song Cecilia. Bill Gould described his bass line on MTV's Post Modern in 1992 as "a lesson in discipline, I literally play one note throughout the song", this one note is the systematic backbone of the song. The haunting string sound of Roddy's keys add colour, however shadowy. While Mike Patton's hoarse whispered vocal rolls in synchronisation with the percussion. Patton chooses words that are sharp and clear, and like a snake spiting venom at its prey he seems to over pronounce each syllable. His harmonies throughout the song are clever and precise, much more adventurous than those on the previous album. Jim Martin's guitar crunch leads the chorus and brings the first light of a major key which lifts the melancholy feel. During which a familiar Patton voice gives us the most inspiring yet twisted lyrics on the album, sung with such vigour you can taste the sarcasm. The middle section is flooded with samples, there are noises whirring from left to right, taken from Beastie Boys song Car Thief. 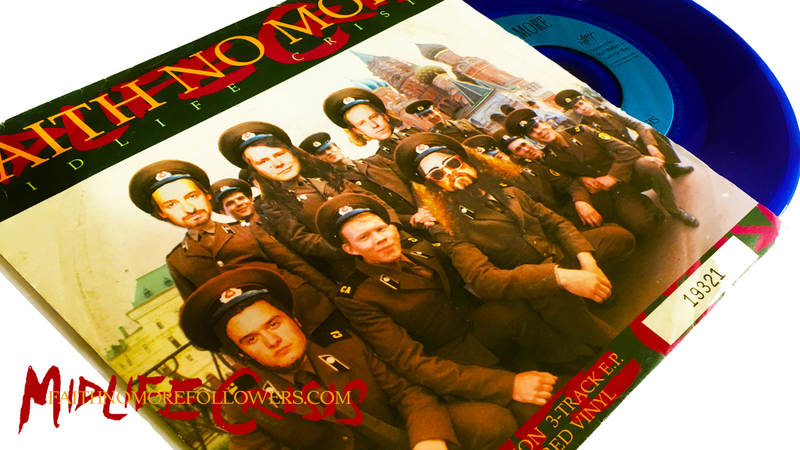 A screech drops us into the breakdown, which is a glorious melodic outburst that makes the listener want to stand up and thank the stars for stereo, volume and Faith No more! MC fades out with perfectly with multiple layers of Patton's chorus lines. FNM have always thrived from the inner tensions caused by the different personalities of the members, it's always been a part of the process. Most of all during the writing of Angel Dust the relationship between Jim and rest of the band is documented to be highly strained. This can be heard literally within the song itself, Roddy's electronic pop sounds versus Jim's earthy rock guitar chords. The turmoil between light and dark. Like a stormy sea raging while clouds roll gracefully along high above. The band have described the track as their attempt to make a slick pop song and were surprised to find it described as dark and heavy by critics. In testament to this the song actually had the working title of Madonna which was continued be used on set-lists. This unforgettable line of prose surely stands out as some of the most powerful and poetic of all Faith No More's lyrics. MC doesn't obviously play out a story with characters as is the case with several songs on Angel Dust, it rather creates a mood which intensifies and shifts like Patton's schizophrenic vocals. 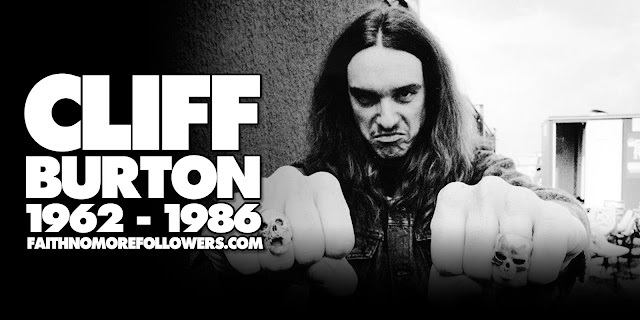 As with most of his lyrics Patton has never really elaborated on the meaning but he has said that its not so much about a midlife crisis, as he couldn't empathise in what it would feel like, but ''it's more about creating false emotion, being emotional, dwelling on your emotions and in a sense inventing them.'' His references to Madonna we would guess are to deceive and mock the press. However Patton's preference to using a word due to it's sound rather than it's meaning seems to be the case here. As fans and critics ourselves, and from a need to gain better understanding of Patton and a song of we will analyse to attribute meaning. It's easy to recognise the theme of 'age' or more precisely different stages of life regularly occur on Angel Dust. MC can be interpreted in many ways, one popular theory is that song is a story of child abuse and violence passed on inherently from father to son. This behaviour resulting in self loathing and an uncertainty of ones self control. The video for MC is arguably the best FNM videos of all time. Directed by Kevin Kerslake it is dark, dramatic and cinematic abstract, a perfect visualisation of the song's temperament. In the video each member of the band is dressed in a random outfit, Bill sports a 50s gangster style fedora and Patton welds a shovel like some movie serial killer. Religious icons, choirboys and images of horses 'quartering' a torso are all in the mix of onscreen drama. The use of soft focus close ups, overexposure and time lapse filmed sequences produces a polished artistic video that can't be likened to any for the rock genre previously. The styling of this video sets the precedent for many to follow, A Small Victory, Digging The Grave, Another Body Murdered and Ashes to Ashes in particular have similar direction. Even though it seems America didn't embrace this in the same way they did Epic, European and Australian MTV played MC on heavy rotation. 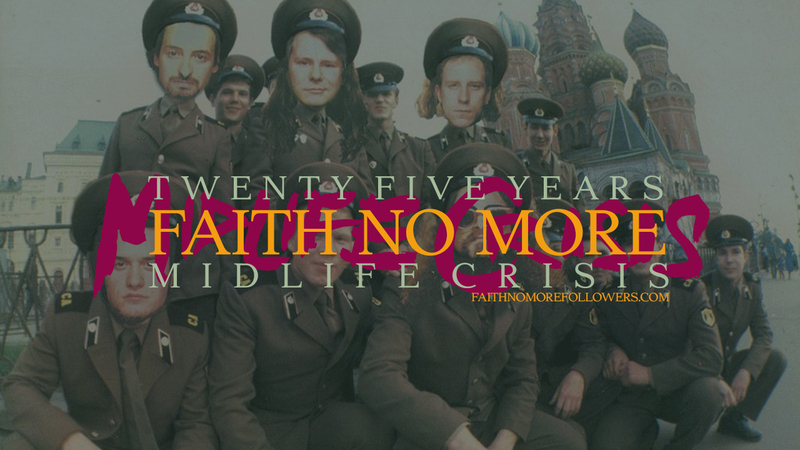 Midlife Crisis has been a permanent fixture on FNM's setlist ever since 1992 and transfers perfectly to the stage. It's always eagerly awaited by the crowd who join in the chorus along with Patton with a sense of joy and pride. Of course any live performance of the song will take your breath away but one in particular was featured on Hanging with MTV. 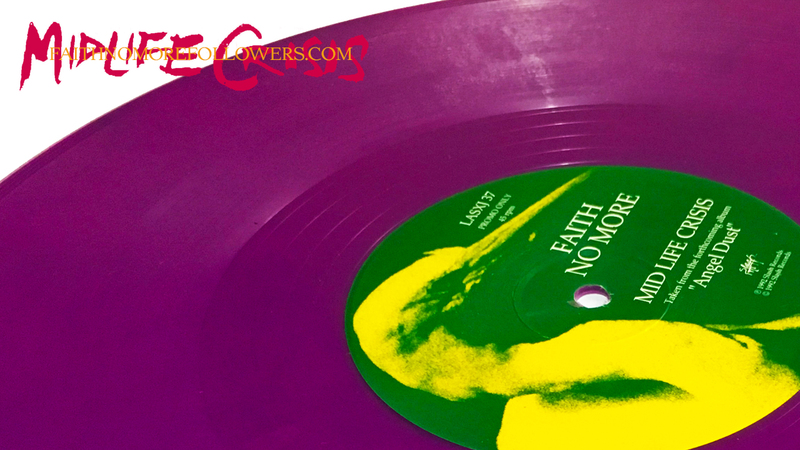 This live show aired in 1992 and songs from the session feature on the FNM video release Video Croissant.